Alcide is there for Sookie. But will these two be together by the time True Blood concludes? True Blood Season 7 Episode 2: "I Found You"
There's no manual on how to get through this. Permalink: There's no manual on how to get through this. Jason: But I can't get you out of my head. You probably hear that a lot don't you. Eric: For a thousand years, only twice have I felt it in return. Permalink: For a thousand years, only twice have I felt it in return. 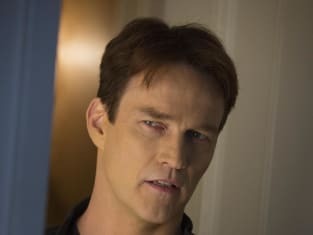 True Blood Round Table: "I Found You"
True Blood Sneak Peeks: Can You Feel Me?